Converting this space into a green roof will increase property marketability and valuations, and has demonstrated financial, social and environmental benefits for the building, and others around it. It is likely that you’ve seen green roofs and walls popping up more and more around your city. 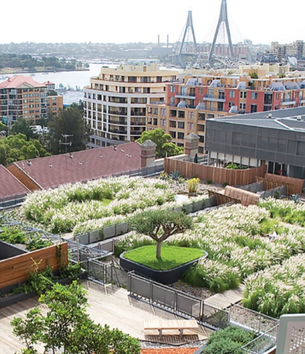 The City of Sydney is a pioneer in the area, with the council recognising the benefits, and adopting the green roofs and walls policy in 2014. The Victorian State Government is also on board, and in 2016 the Premier’s Sustainability Award for Built Environment went to 38 Westbury, an apartment in St. Kilda, for their retrofit of a green roof. This 1950s three-storey strata is a perfect example of a body corporate that has successfully installed a green roof, and now benefit from a community space and vegetable garden. So are they worth it? 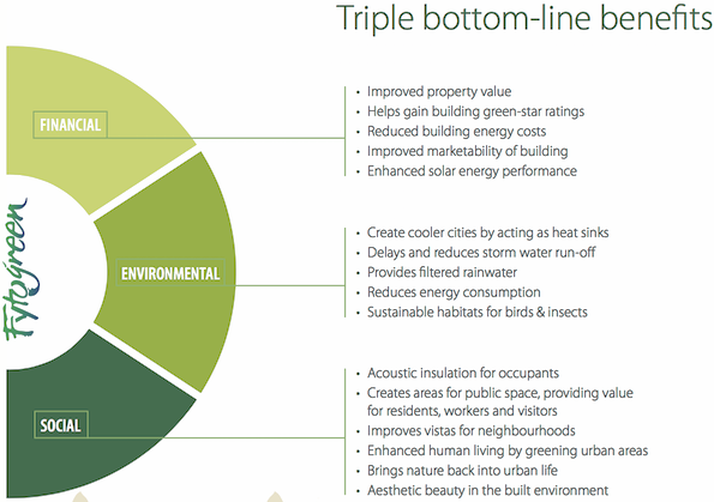 Beyond the superficial appeal, green roofs have demonstrated benefits across the board, and play an important role in reducing the urban heat island effect and keeping our cities liveable. They may also be a stepping-stone into the future of vertical farming, where your local farmers’ market may just be on your roof. There are things to be aware of when considering a green roof. There are structural risks from the weight of soil, so it’s best to engage a structural engineer to assess the roof’s load-bearing capacity, especially if you want deeper soil for larger plants or vegetables. To mitigate risk, a substrate as shallow as 120mm can be used, while still reaping the benefits. Raised gardens can be installed on structurally strong points to grow vegetables and herbs if a shallow substrate has to be used. For further reading see the City of Sydney sustainability page and their inspiration guide. Or read more about 38 Westbury’s journey on their website. This article was contributed by Morgan Warnock, Editor. Winner of SCA Innovation of the Year, Wattblock specialises in low cost energy assessments and energy management strategies for strata buildings.